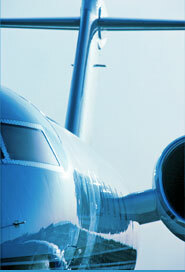 Kramer Aerotek - specializes in aviation planning, air service development and passenger and cargo forecasting. "It would be ironic if, by misdiagnosing our present discontents, we were to return to policies of protectionism and centralized planning at the very time when countries as dissimilar as China, the Soviet Union, Chile, Australia, France, Spain, and Poland are all discovering the superiority of the free." Most airports operate as business centers where strategic decisions about air service, airport improvements and marketing are critical. KRAMER aerotek has been part of the aviation industry’s evolution since deregulation. During that time we have helped large organizations such as the Port Authority of New York and New Jersey, the Royal Thai Government, the states of Colorado, Florida, Georgia, Minnesota, Texas, and Wyoming and many individual airports to capitalize on their market strength to improve air service, advance their core businesses and better serve their customer base. Our consulting practice is based on the principal that every client deserves a custom solution that builds from (1) a strong analytic base; (2) the expertise of a highly experienced group of consultants; and, (3) the expertise of our clients who drive each engagement. Regardless of your airport size, you are probably looking at the rapid changes within the industry and trying to meet these challenges with effective strategies to increase revenues, retain and build your traffic base, and maintain good communication with your tenants, your customers, prospects, and the community.